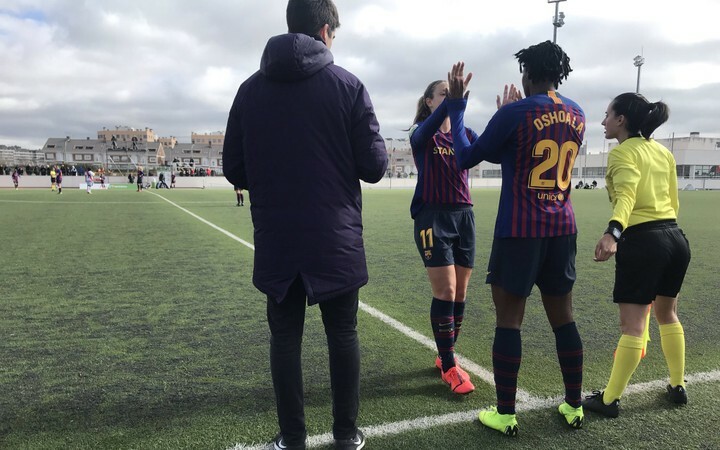 Nigerian female footballer, Assist Oshoala, scores her first goal, in her first game with FC Barcelona. 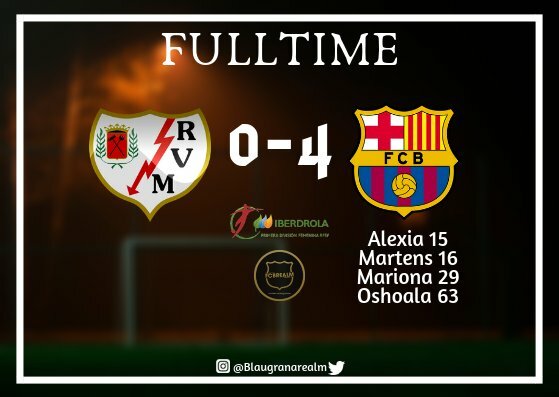 Asisat Oshoala came on as a substitute in the 62nd minute and scored in the 63rd minute to help Barcelona defeat Rayo Vallecano in her debut game this afternoon. Asisat joined the female team of FC Barcelona of Spain, on a loan signing from Chinese club, Dalian Quanjian, until the end of the 2018/2019 season. 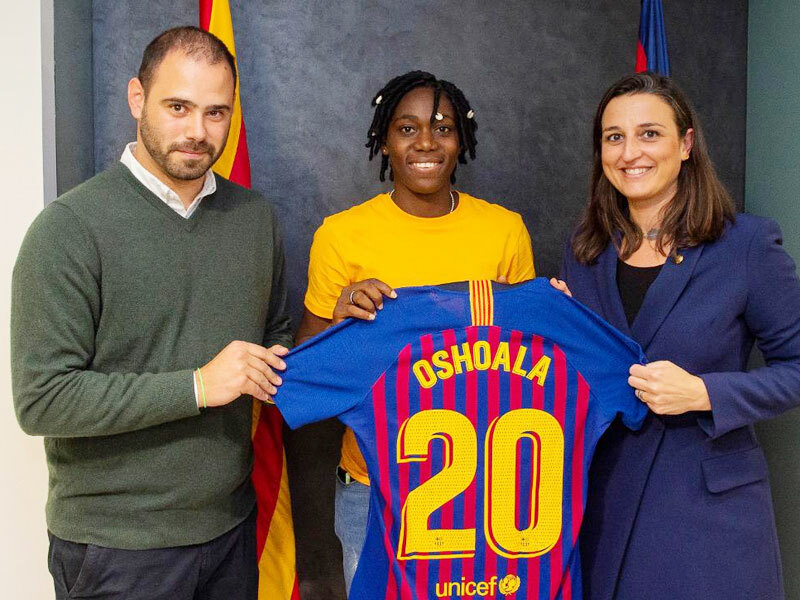 Oshoala, a three-time African Footballer of the Year, said she’s excited about joining “one of the best clubs in the world”. She said: “Obviously this is one of the best clubs in the world, the team has a great history and a good football mentality.